1952 Chevrolet Bel Air Deluxe 2 Door Hardtop, This is a very nice Southern California car that was restored several years ago and has been very well cared for since and driven regularly. I bought the car in Long Beach California and drove it 1519 miles home to Austin. It was a fun trip, averaged 14.39 mpg, and got hundreds of thumbs up along the way and I would not hesitate to turn around and head back tomorrow. And I mean that because the weather is a lot nicer in Southern California than it is here right now. It is a very original unmolested car with an updated 1955 235 motor which is a much better motor than the original 52 235 as it has insert bearings. Fenton exhaust manifolds with new dual exhaust that sounds great. Has a nice cackle to it. It has the original Powerglide Automatic transmission which works well, the paint has a good shine, looks great but does have a few chips and imperfections, all of the chrome and stainless trim, and there is a lot of it, has been very professionally redone and looks excellent, the interior is very nicely done, the dash is beautiful, the original clock even works, but you have to remember to wind it! 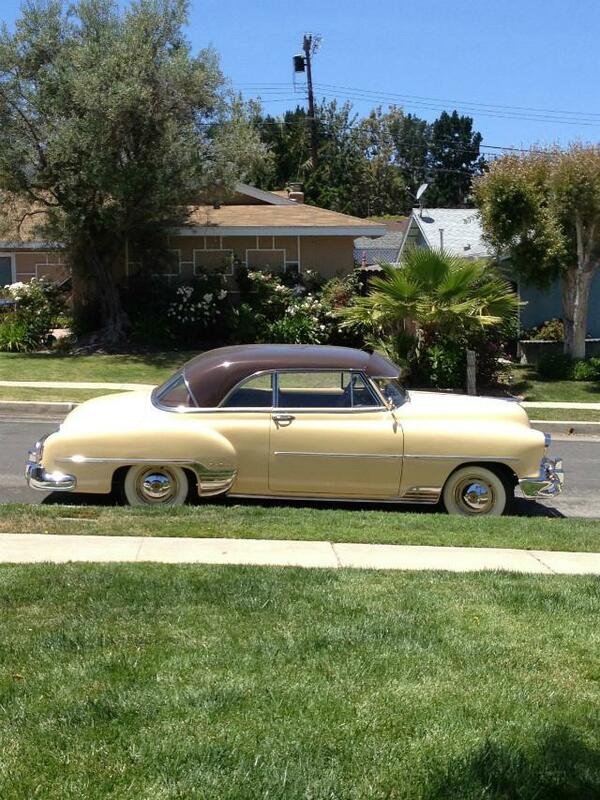 It has modern stereo in the glove box, amp in the trunk, no butchery to install it, sounds great, It had a set of NOS 1952 California license plates on it that do not go with the car but I will sell them separately. They have the original Folsom Prison Wrapper with them. This is beautiful car that is ready to be enjoyed and driven anywhere you want to go.